Many people think of loans in the most traditional sense: Money is needed for a large purchase like a home or a car, and banks provide loans to people and businesses to buy those big-ticket items. The money goes directly towards that purchase and repayment is tied directly to the item or property. On the flip side, many lenders offer what are known as unsecured business loans (personal loans, too), which don’t always require a specific purpose and don’t always require much more than a great credit history to obtain. There are risks involved, and unsecured loans won’t work for every business, so let’s take a look at unsecured business loans and how they work. When most businesses apply for and receive a loan, the funds they get are secured by an object being purchased, money in the bank, or other assets owned by the business getting the loan. 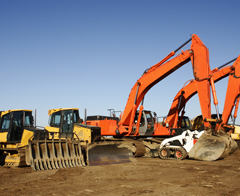 If the purpose of the funds is to purchase a piece of equipment or a building, the collateral is fairly straightforward and is usually the “thing” being purchased. Things get a bit cloudier when more complex items are purchased, or when the loan is being used for something like a business expansion. In these cases, banks and other lenders may require the business owner to sign over other property or cash as collateral to secure the loan. As the name suggests, unsecured loans do not explicitly require collateral like this. These loans are based solely on the creditworthiness of the business, the business owner, and any partners involved in the operation. This may mean that the borrower can receive loan funding with not much more than a signature (hence the synonymous term signature loan). Unsecured business loans can place an extremely high burden of risk on the lender, because they have no direct way to recover their money should the borrower default on the loan. Despite offering what is being called an unsecured loan, lenders may end up placing a blanket lien on other business assets or may require a personal guarantee from the business owner to help ensure the loan’s repayment in full. The actual process of applying for an unsecured business loan is nearly identical to one that requires collateral, obviously missing the step where the bank collects information on the assets being used to secure the loan. The biggest differences in the application process are related to the borrower and how the lender views the borrower’s credit history. In some cases, a business owner may have a particularly strong relationship with their banker and can establish a level of trust that may help overcome a shortfall in one or more of the areas above, but the general rule is that unsecured loans require a near-spotless credit history. 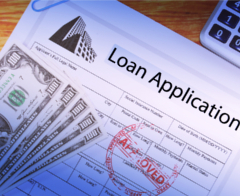 Application Times: Because the lender does not need to spend time appraising and inspecting collateral to secure the loan, application times are typically much faster with unsecured business loans. In some cases, lenders offer near-immediate approvals with fast deposit times for the loan funds. 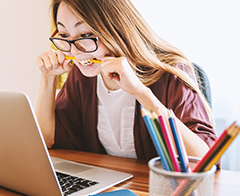 Loan Amounts: Even though the total loan amount may be limited with some lenders by the fact that there is no collateral, unsecured loans may actually net a larger approved amount since it is not tied to the value of an item or piece of property. Use of Funds: Just like loan amounts, the use of loan funds may be more flexible with an unsecured loan. Traditional loan funds are tied to a specific purchase or purpose, and may not be used for any other reason, but unsecured business loans do not always have a single purpose and the funds may be used more freely as a result. Interest Rates: Lenders base their interest rates at least partially on how risky they view a particular borrower to be. Since there is no direct way for a bank or lender to recover their money in the event of a default, they may set a much higher price or interest rate for unsecured business loans. 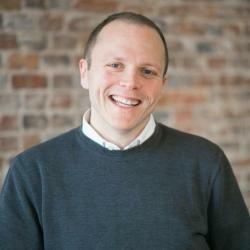 Some lenders may charge higher fees for their unsecured business loan applications as well. Terms: Even though unsecured business loans are typically more flexible in the way the money can be used, most lenders place more restrictive limits on how long a loan term can be (how long it takes to pay back). There can also be fewer opportunities to refinance or pay early. Loan Amount: On the other side of the loan amount coin, the total amount that a lender is willing to disburse for an unsecured business loan may be capped at a certain level. This means that, while a business owner may be able to borrow more money for a specific purchase, their ability to borrow larger sums may be limited by the fact that no collateral is involved. Personal Guarantees: We mentioned earlier that some banks and lenders may require other business or personal assets to secure loan funds. Even with the fact that the actual business loan is “unsecured”, lenders may still want some guarantee that they’ll get their money back. Many business owners find themselves being asked for a personal guarantee that their unsecured business loan will be repaid, which can lead to a great deal of personal risk and financial uncertainty. In the event that a business loan enters into default, the business owner’s personal assets like homes, autos, and bank accounts can be seized to help the lender recover their money. 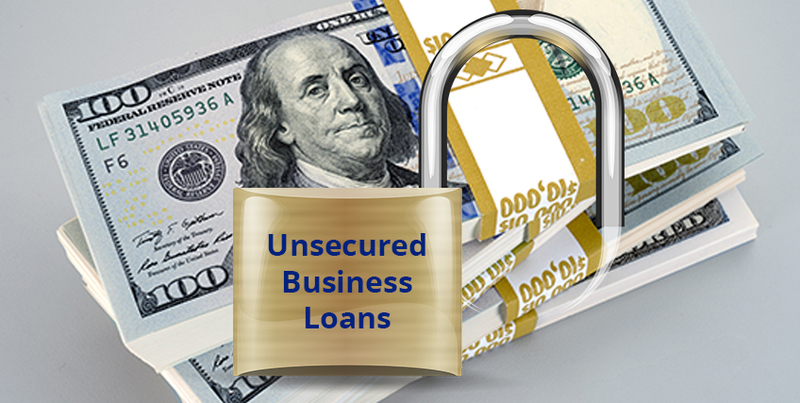 Whether or not an unsecured business loan is right for your needs will depend on the factors listed in this article and many others. Some will find that unsecured business loan pricing and the risks involved outweigh the benefit of not needing collateral. New businesses in particular can benefit from the more flexible use of funds and shorter approval times, but more established companies may find that the more traditional funding route provides them with the best path forward. Understanding your needs and goals will help you make the best choice, and like anything else in the financial world research and an open mind are the most effective tools.